I have to admit that I am not a big fan of Indian dishes, or the Asian cuisine in general. 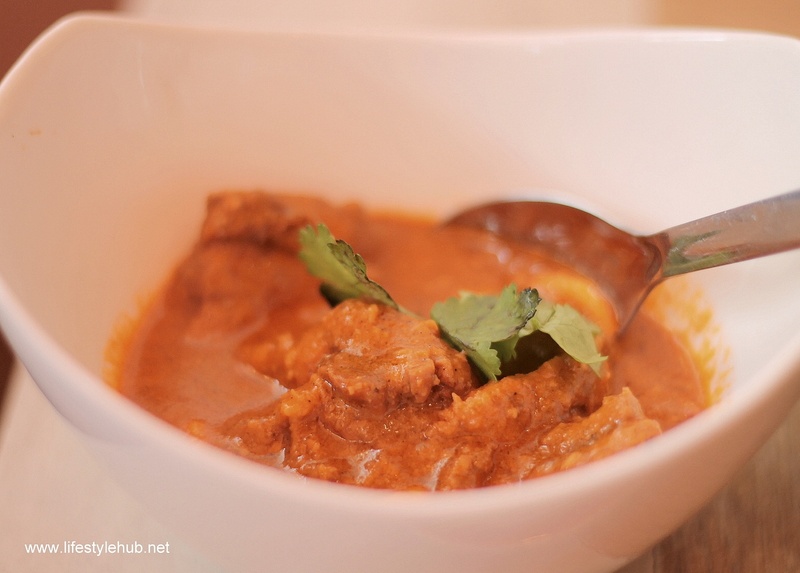 My best experience of Indian food is perhaps, a Filipino version of the curry. Since I started to travel around Asia, I promised to train myself to appreciate the rich cuisines in the continent. I easily fell in love with Thai and Cambodian dishes during a recent trip. I wish my taste buds will show the same approval for food from the other countries. When I got an invite from OM Indian Cafe in Greenhills to try out their authentic menu of South Asian delights, I easily obliged. 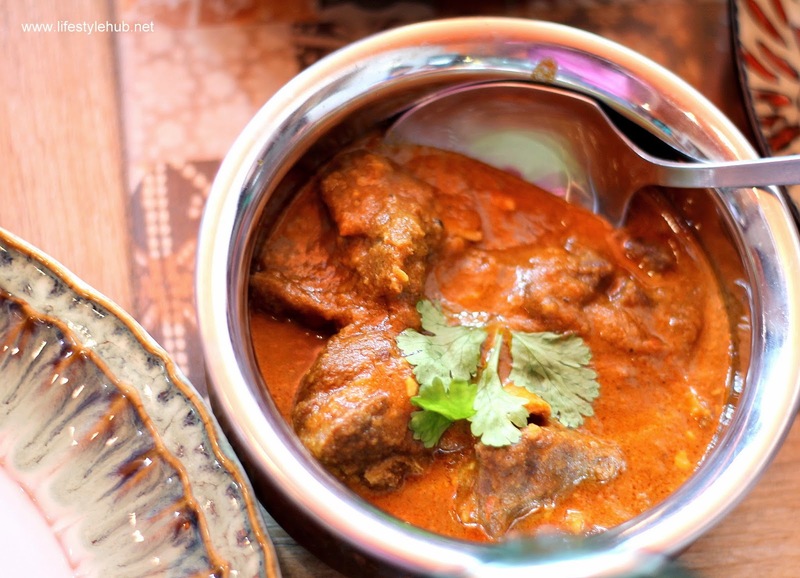 Meet Om Cafe's the Mutton Curry. Mutton is a kind of a domestic sheep that is common in South Asia, particularly in India. Om, or the most basic sound for the Hindus, is already a prayer in itself. It is fitting for an Indian shop and restaurant to be named after it. The Om Indian Cafe is located at the second floor of Fox Square Building along Connecticut Street in Greenhills. It is owned by the family of popular radio DJ Sam YG or Samier Gogna in real life. During an exquisite lunch the family prepared for some members of the online media, I had the chance to meet Sam's mom Angie. 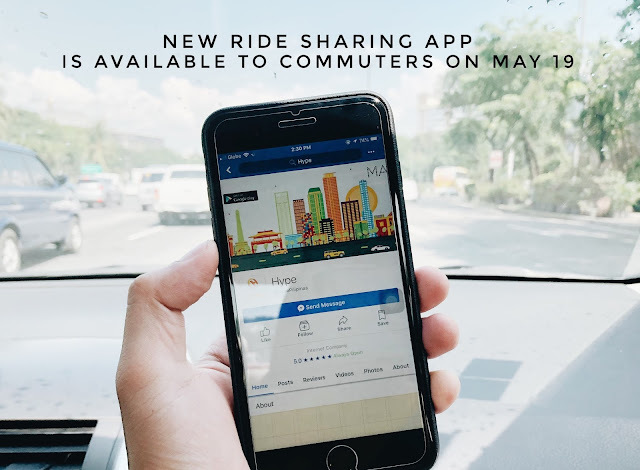 The gracious native of Delhi, India's capital city, knows a sizable amount of Tagalog words which allowed her to create friendships in Manila. This relationships later on helped her in understanding the Manila food market to start the business. Although she admits her love for the local dish Sinigang, Angie is known by family and friends for her top-notch knowledge and skill in preparing Indian food. This is not an Empanada but the concept is more or less the same. 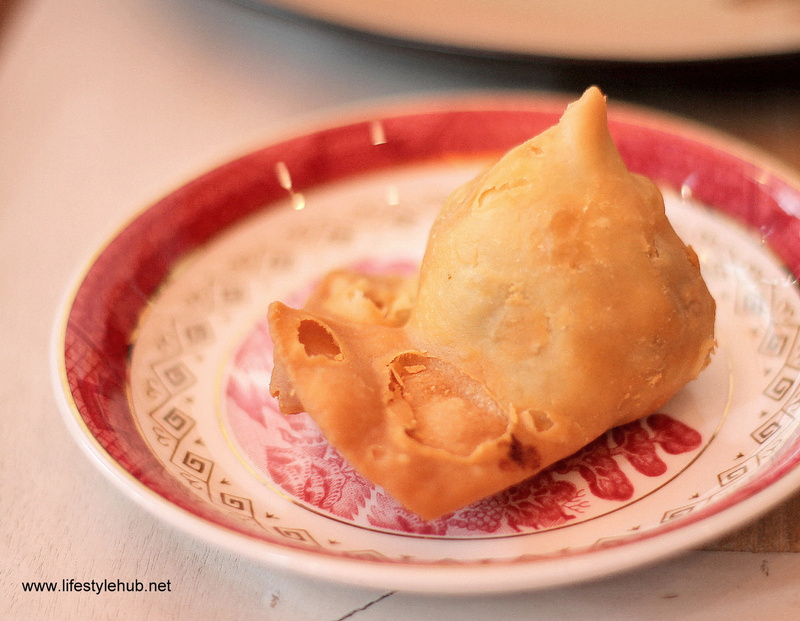 Indians call this the Samosa, or a pastry stuffed with spiced potatoes. "I'd like to think I am an excellent cook. I've been preparing Indian dishes for several years now and I'm faithful to the original recipes. I'd like to keep it very authentic," the Gogna matriarch said. When asked if she ever considered giving a Filipino touch to the menu, Angie said she prefers not to mix the two taste styles. "Filipino food is great and it has to stay great. The same for Indian food." 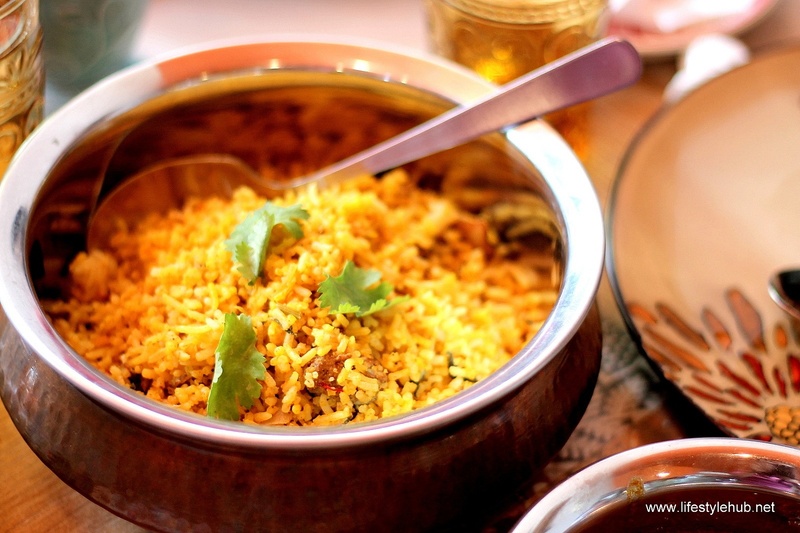 Thus, guests of her restaurant are assured of a genuine Indian gastronomic experience. 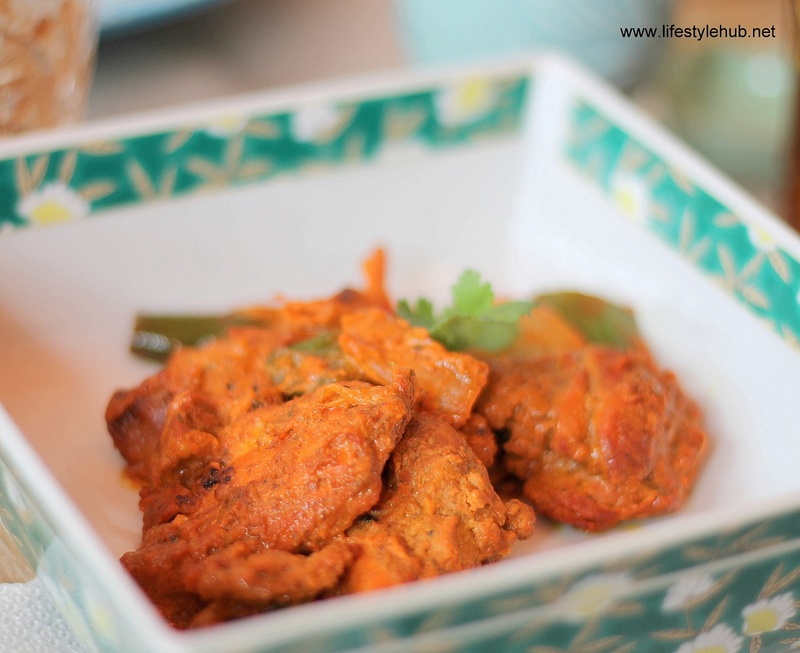 While in Om, you can order the Chicken Tikka which is marinated overnight in yogurt and spices and is pan-grilled after. You can also try the Indian paneer cheese in spinach-based curry or the Palak Paneer and the lentil that is cooked over slow fire with spices or the Daal. Sumptuous Indian snacks are also available such as the Pakora (Mix plate of potato and onion fritters), Samosa (savory pastry stuffed with spiced potatoes), and the Papadum (toasted crisp and flat lentil wafers). The Chicken Tikka is marinated overnight in yogurt and spices before being pan-grilled to perfection the next day. 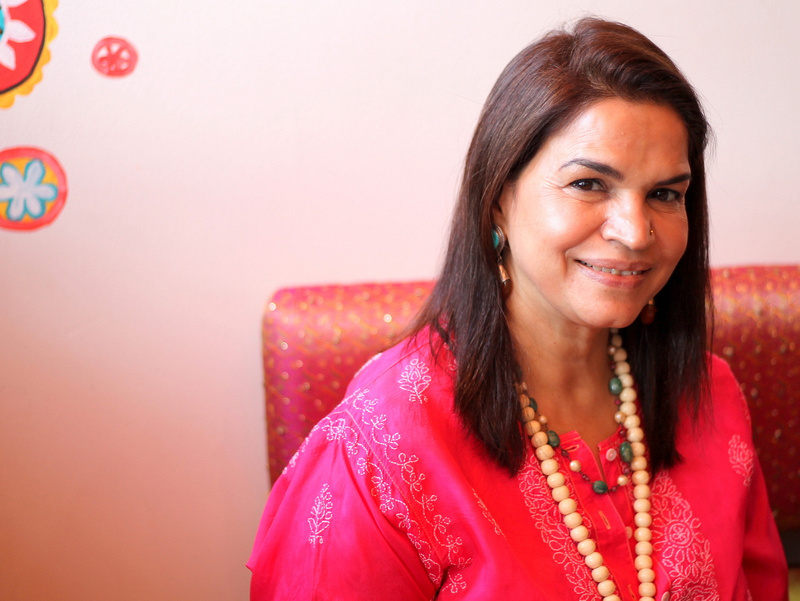 Angie Gogna, the lovely mother of radio's Sam YG, is the brain and the hands behind these authentic Indian dishes. 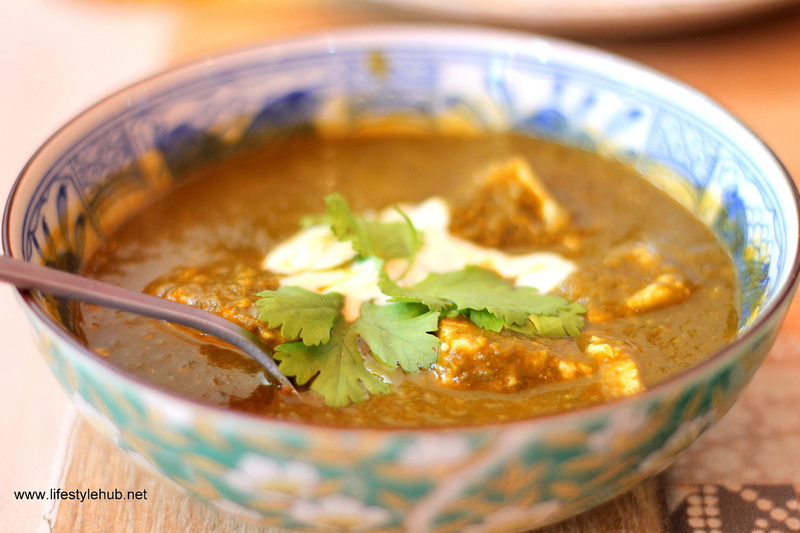 Here's a kind of a spinach-based curry, the Palak Paneer. Also being served in the restaurant are the Fresh Garden Salad, Chicken Biryani and the Chapati or the traditional Indian wheat bread. For desserts, you can experience the Kulfi or the Indian ice cream and the Gulab Jamun or a dessert made of milk solids. For your drinks, I bet you all would love the Masala Chai, or the Indian tea prepared with cardamom and cloves. The food items are humbly priced from PhP80 to PhP200 per dish with the average bill for two guests amounting only at PhP600. This will leave you more room for shopping as the family also sell Indian home decors and clothes and accessories in the same store. I'm not sure if I am truly ready to take on a food adventure in the streets of India but I'm glad to have tried a home-cooked and deeply authentic Indian meal. It will not be too long for me to appreciate the magnificence of one of the world's most distinct flavors. Om's version of the Butter Chicken. Nope, it's not buttered chicken but Butter Chicken. Note the difference! 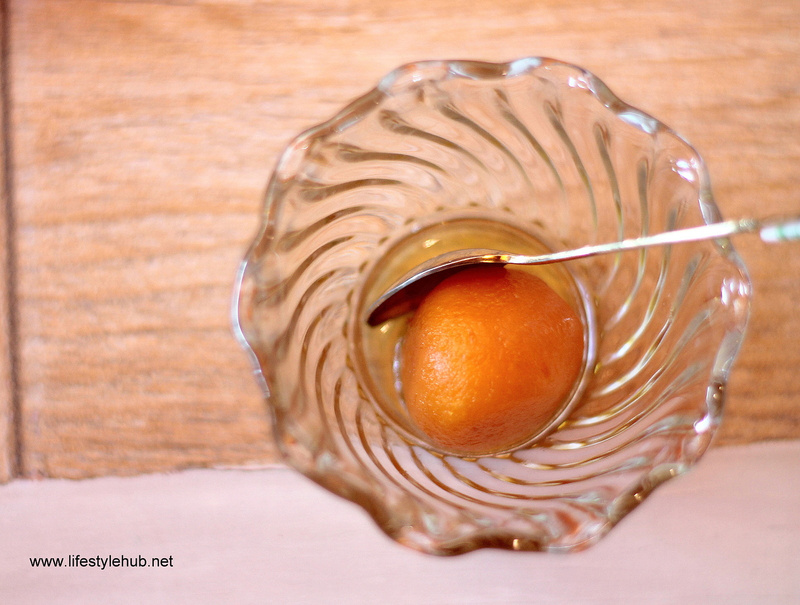 Our dessert is the Gulab Jamun, a milk-based solid dessert. Yes, I know it looks like a fruit but it's not. 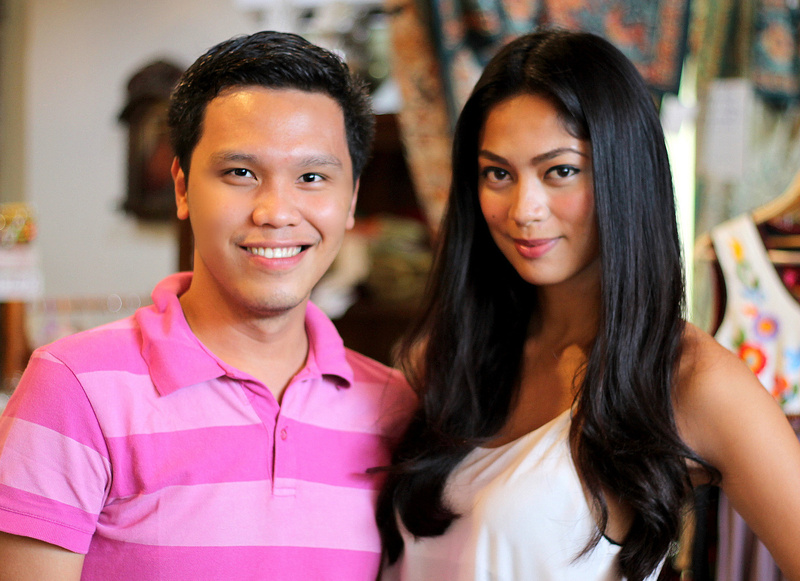 Joining online media for an Indian food adventure is Miss Universe 2013 Third Runner-up Ariella Arida. *You can visit www.omlifestyleandcafe.com for more details or call 632 705 7072 for reservations.